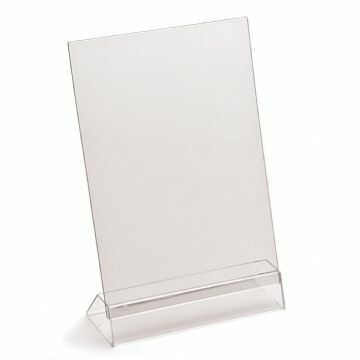 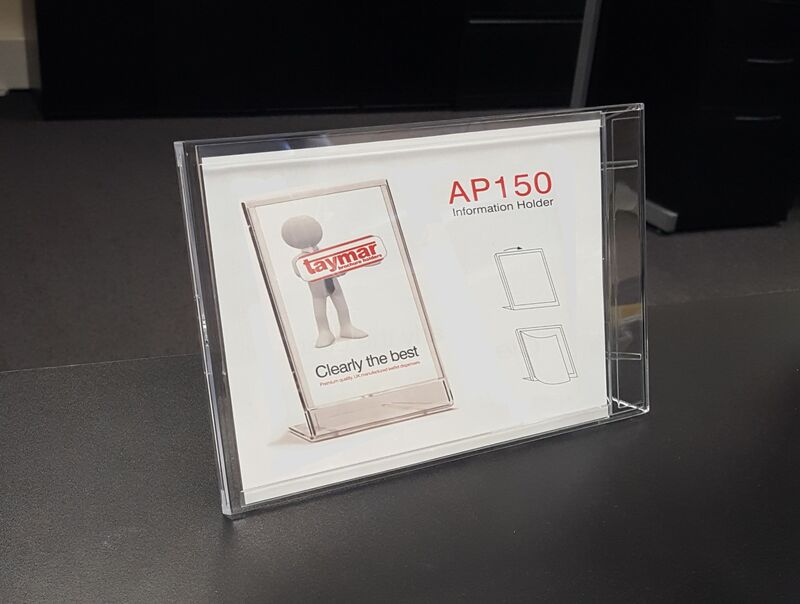 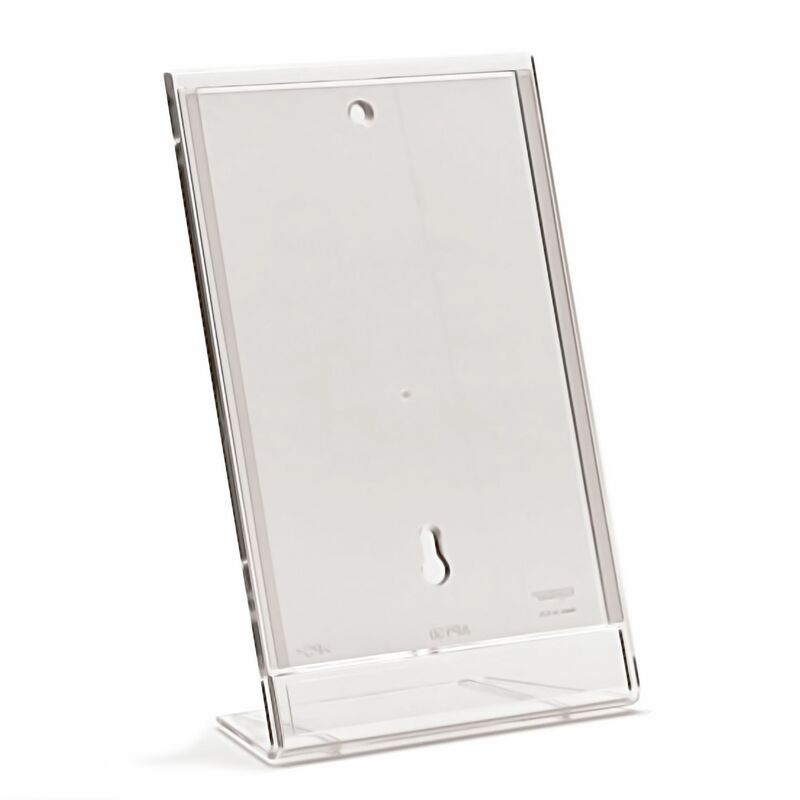 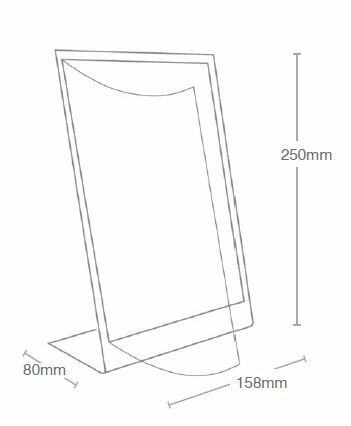 A5 Angled Ad-Print / Notice Holder Supplied with PVC Frame: Crystal clear Polystyrene – Insert: PVC For counter standing To hold: 210 x 148 sheet. 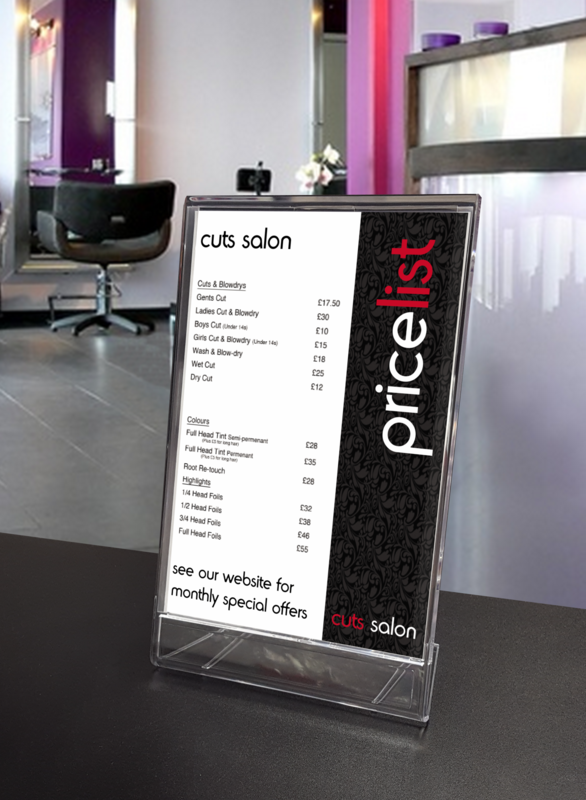 Supplied with protective, removable PVC front sheet. 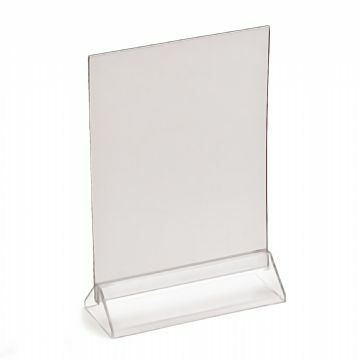 Remove the sheet - insert the leaflet - replace the protective cover. 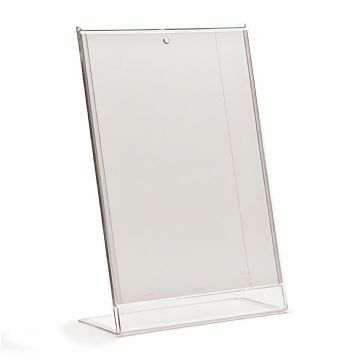 To hold: 210 x 148 sheet.